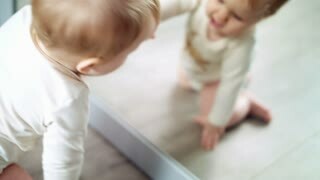 Search Results for "child at the mirror"
Mother is combing her daughter's hair sitting near mirror in the children room. Young boy learning to shave helped by his father as they peer at their reflections in a bathroom mirror with chins covered with shaving foam as the youngster tries out a razor. Little girl falls in heels. The child at the mirror in large shoes. A beautiful child in a yellow dress at the mirror in her mother's shoes. Slow motion. The girl is looking in the mirror. The child at the mirror adjusts his hair. Beautiful girl looks at her reflection in the mirror. Slow motion. 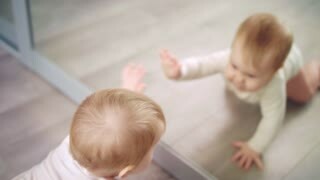 The child at the mirror. Beautiful little girl talking to her reflection in the mirror. The face of the child in the mirror. The little girl is combing her hair in front of the mirror. The child at the mirror. A beautiful little girl paints her lips in front of a mirror. The child at the mirror. A happy little girl is spinning in front of a mirror. The child at the mirror. The little girl grimaces before the mirror. The child at the mirror. A beautiful little girl is combing before a mirror. The child at the mirror. Happy little girl with a beautiful dress at the mirror. The child at the mirror. A little girl in a beautiful dress looks in the mirror. The child at the mirror. A little girl in high heels wearing a mirror. The child at the mirror. The girl paints her lips. A beautiful girl with tails at the mirror with lipstick. The girl at the mirror with painted lips. The little girl is combing her hair. The child at the mirror. The child at the mirror. The little dancer looks in the mirror. The child at the mirror. A little girl with a lipstick near a mirror. Emotions of the child at the mirror. The little girl grimaces at the mirror. The child at the mirror. A little girl is looking in the mirror. The little girl paints her lips. The child at the mirror with lipstick. Beautiful little girl in a yellow dress is looking in the mirror. The child at the mirror. The girl paints her lips. A beautiful girl with tails at the mirror with lipstick. Slow motion. The child at the mirror. Happy little girl with a beautiful dress in front of a mirror. The child at the mirror. A little girl in a beautiful dress with wings at the mirror. The child at the mirror. A beautiful little girl at the mirror paints her lips. Little girls are looking in the mirror. Two sisters laugh at their reflections. Beautiful children by the mirror. Slow motion. The child at the mirror. Little girl doing makeup. The child at the mirror. Beautiful little girl doing makeup. The child at the mirror. Mom is combing a beautiful little girl.